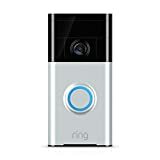 When it comes to getting the right system for home security, one of the devices to consider is a doorbell camera. These cameras are great ways to make sure who’s on the porch before opening the door. It’s also a good way to get rid of anyone the homeowner doesn’t want to be there. The two-way voice communication can make it appear that the homeowner is home, as well, even if they’re somewhere else. 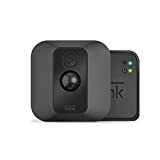 That’s done through a smartphone app, and it can add to the peace of mind a homeowner feels when they use a doorbell camera — but sometimes they may want to hide these cameras from visitors. Hiding a camera isn’t too difficult, but it’s important to remember that the camera still has to be able to see through its lens. If it’s too well hidden, there may be obstructions that will get in the way of taking pictures or video, or of simply seeing who’s at the door. Rather than take the chance of hiding the camera too well it may be better to leave it in plain sight, but that’s not always a good option, either. Usually, there’s a balance to be found between hiding the camera in a way that blocks its view and making sure it can see things but people can’t see it nearly as easily. Why Hide a Doorbell Camera? The most obvious reason for hiding a doorbell camera is so people who come up to the door don’t see it. They’re often not going to act the same way if they know they’re being recorded — especially if they’re up to something problematic. If the camera is hidden, they won’t see it and the homeowner can really find out what they’re doing that. That’s important, but it can also be frustrating finding a way to hide a doorbell camera when the doorbell needs to be exposed. Having a doorbell in an odd spot is a red flag that the homeowner is trying to hide something, so that’s not a good way to hide a camera. The best way is to hide it in plain sight, by using a doorbell camera that just looks like an ordinary doorbell. Then the camera isn’t nearly as obvious. With a home security system, there are a number of different kinds of cameras. Some of them are a lot smaller than other ones. It’s not about the size of the doorbell camera, though. It’s about the style and shape. Even larger cameras can avoid looking obvious in a lot of cases, but that’s not true for all of them. Before a homeowner commits to a particular system with a doorbell camera, it’s a good idea for them to do their research and get a good look at what that camera actually offers, for added peace of mind. By choosing a company with all of these benefits, a homeowner can focus on the true value they’re getting for the money they’re spending. It’s a good way for them to feel secure in their own home, and to be happy with the company they’re using.